Backing up your PC is so crucial. If not for the chance that the hard drive could die, there is also the increasing chance of falling victim to ransomware that encrypts your disk and may not ever allow you to see you data ever again. Periodically making a copy of that information is vital to ensure that important documents and precious memories are saved for posterity. 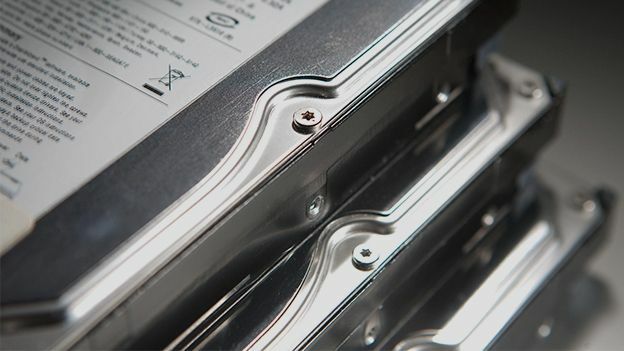 We look at five of the best backup tools for your PC. Having an intuitive interface makes backing up data a manageable experience and COMODO backup offers just such a thing. The simple dashboard allows users a range of options such as backup, profile restore, manage and online storage. It also lets you select the type of backup and exact storage location as well as the ability to encrypt files to protect them from hackers. The backup can cover files and directories; disk, partitions and MBR (master boot record); registry files; or registry entries. The tool can also backup email accounts, instant messenger conversations or browser data. Rather than pay money for a cloud storage service, you could instead rely on friends and family and the spare hard drive space they have. BuddyBackup lets users make a backup of their data on another friend's hard drive. When installed it sets aside unused hard drive space and this allows you to store data remotely with friends. The data is encrypted before being put on a friend's remote disc. Files can also be stored locally or on an external disc. The software will also let you know if the file is backed up to one or more friends or not backed up at all. If you have a space PC, you could turn that into a backup tool for the whole home network. FreeNAS is a complete operating system that turns an old PC into a network attached storage (NAS) device. The PC doesn't need a display, it can be managed and accessed remotely and users can backup important files to that device as easily as they would to an attached external drive. The tool uses ZFS Snapshots to take regular system backups; this means that older versions of files can be accessed if needs be. As an added bonus, the tool allows you to use it as a home entertainment centre to watch movies and listen to music from anywhere in the house. If you have a perfect copy of your files, backup is great. But what happens if the files are corrupt? Dust Signs File Copier could help out here. The tool can copy files even if Windows can't. The easy interface lets the user find and copy the files they need to move and can recover previously unusuable files. The interface is split into four tabs that enable the user to customise features and let you copy files the way you want. Backing up your email can be one of the most important and one of the most difficult to do. Luckily, KLS Mail Backup tackles this task with ease. Not only will it backup your email messages, it will also copy your account settings and contacts as well. The tool works with a number of email clients, such as Thunderbird, Windows Mail/Outlook Express, Windows Live Mail and Opera.